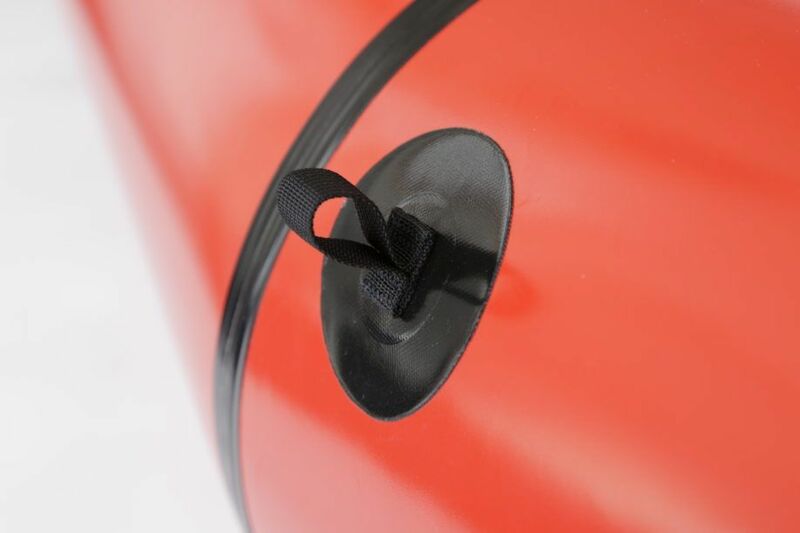 Additional tie downs are a great way to customize your boat for specialized packing options, like carrying bikes or adding a stern grab line. Grab LoopsÊ_ A 3/4-inch nylon webbing loop bar tacked to a 3-inch diameter base. 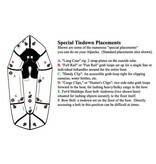 All boats except the Scout and Forager come standard with 4 bow grab loops and 2 stern grab loops. Strap PlatesÊ_ A heavy duty 3-inch diameter fabric circle withÊtwo 1? 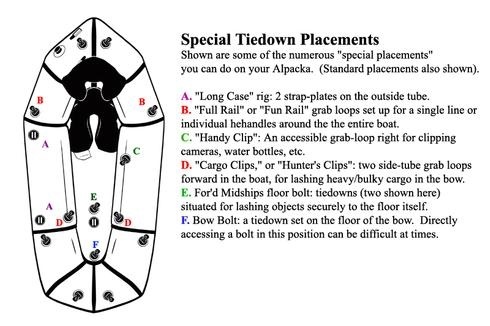 slots that you can thread straps through. 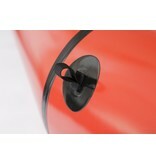 ÊStrap plates are low profile and great for securing bikes, skis, fly rod cases, etc.